Indian rhinoplasty is a complex, varied procedure that may be used to treat an array of issues. The approach to the procedure differs from patient to patient because Indian noses vary significantly. The best, most qualified facial plastic surgeons have specialized techniques that they tailor to each patient in order to provide the desired results while maintaining the patient’s ethnic identity. The most common characteristics of an Indian nose include a poorly defined nasal tip, wide nasal profile and thick nasal skin. Skin thickness tends to vary between Indians of southern and northern Indian heritage, with southern Indians typically having thick skin and northern Indians having relatively thinner skin comparatively. Other common characteristics among this group include a high bridge, nasal bump or hump, droopy tip and/or large nose overall. When performing Indian rhinoplasty, ethnicity-related factors must be considered. It is important to understand that the goal of all ethnic rhinoplasty procedures is to enhance a person’s nice-looking features, not to eliminate the patient’s ethnic look. The result should be a nose that is natural looking, not pinched, too scooped or too short. As with any patient, it is important that Indian rhinoplasty patients have a realistic idea of the degree of change that can be accomplished through cosmetic nose surgery. For instance, a very big nose cannot be converted into a tiny, upturned nose, because this would sacrifice necessary structural support and may cause the nose to collapse. 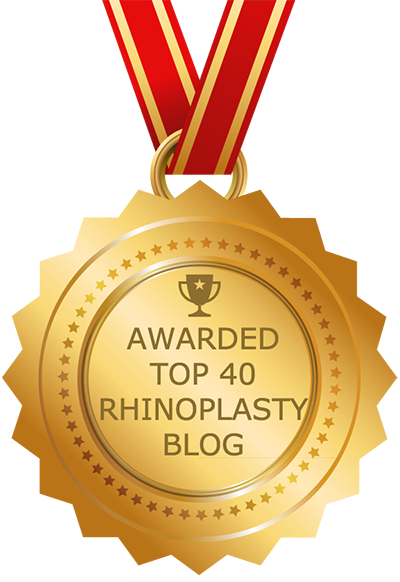 In fact, no matter what your situation and who your rhinoplasty surgeon is, there are certain limitations regarding how much reduction can be achieved in a nose that has excessively thick skin and/or weak cartilages. A nose fitting this description that is reduced too much will not turn out well, because the overlying skin won’t shrink down properly, which will cause the nose to appear even more bulbous, with less definition, following surgery. It is equally important that the nose be in balance with the forehead, chin and the rest of the facial features. Thus, a small nose might be appropriate for a petite woman whereas a larger nose might fit better in a man with a large face. Unlike Caucasian rhinoplasty, which is often essentially a reduction procedure, Indian rhinoplasty must be treated differently, because aiming for reduction is more apt to lead to a more bulbous nose. It is also important to note that Indian noses are more likely to form scars around and above the tip. For optimal results, Indian rhinoplasty should be tailored to the individual patient, taking into account ethnic factors as necessary. The goal of any rhinoplasty procedure should be to achieve a beautiful, symmetrical, harmonious result. In an Indian patient this means changing the nose in a way that fine-tunes and defines it while taking facial proportions into account and preserving ethnic features. In other words, it is not at all like Caucasian rhinoplasty and should not be treated as such. Achieving a good outcome in ethnic Indian rhinoplasty patients often requires a conservative approach involving grafts for increased definition as well as reduction of any bumps or humps by shaving cartilage. Experienced facial plastic surgeons have developed advanced methods to create and sculpt cartilage grafts with microscopic power tools. Using this state-of-the-art instrumentation to create cartilage grafts and remove humps can result in a smoother and more natural result. This instrumentation represents a significant advance, as traditional methods often produced less-desirable outcomes (e.g. a scooped or ski-sloped nose or pointy/pinched tip). For example, the traditional method of removing a hump was to move a filing instrument back and forth over the bump. This movement rubs against the muscle and skin and can tear blood vessels. It is not as precise as the modern micro-powered sanding instruments, which avoid this rubbing and trauma by instead moving in a circular motion over the area where the bump is located. Due to less precision, older methods were also far more liable to result in over-resection of the bump. To achieve a positive outcome it is also imperative that you select a rhinoplasty surgeon who has experience performing surgery on Indians. A good place to start is the website of the American Academy of Facial Plastic and Reconstructive Surgery (AAFPRS), where you can find a qualified board-certified facial plastic surgeon. Your surgeon should specialize in ethnic rhinoplasty and have extensive experience performing surgery on Indian patients.